Comprised of thousands of small volcanic land masses, the islands of Indonesia are home to loads of different cultures. This makes it them one of the most popular tourist destinations in the world. To give you an insight into this part of the world, this post will be exploring some of the larger and more popular islands. This will showcase exactly what they have on offer. Obviously, it will be worth doing a little bit of your own research to make sure that you’re not missing out on anything you’d like to see. Sitting in the very center of this set of islands, the first place to look at will be Bali. Covered in volcanic forests, this small area is full of wildlife which can’t be found anywhere else in the world. It is also of extreme importance to Buddhists across the globe. Like a lot of the places you can find in Asia, Bali is home to numerous temples. The most popular of these is the cliffside Uluwatu Temple which is home to a large population of friendly monkeys who will be happy to welcome tourists with their cheeky antics. Taking a break from Indonesia’s otherwise uninterrupted natural beauty, Java is home to more than half of the people living amongst these islands. It boasts several large cities, with hotels being found on sites like https://rumahdijual.com/semarang/, along with several large volcanoes which can be visited throughout most of the year. Unlike a lot of the other cities in Indonesia, Jakarta and Semarang are largely built using Western building techniques. This sets them apart from other areas of Asia. Being one of the least-explored areas in the world, Borneo boasts some of the richest rainforests you’ll ever see. Home to Orangutans, Leopards, and numerous other species of rare animals, this rugged island can give you the chance to see creatures which have been largely wiped out across the world. Despite its relatively small population, Borneo is the largest Island in Asia, and one of the biggest in the world. Of course, though, there are still loads of other places to visit on this list. Most people will have heard of Komodo before, even if it is only for the dragons. These dangerous animals can be found throughout the island, with a national park set up in their honour, and number in the thousands. Along with this, though, Komodo has more up its sleeve. With terrain including forests, savannah, and coral reefs, this little pocket of paradise is an explorer’s dream. 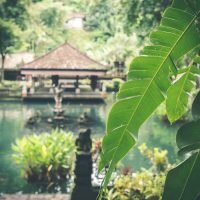 If you’re worried about encountering a beast, it will be worth reading a site like https://komodo.adventureindonesia.com/komodo-dragon-safety-tips/. They’re not too troublesome if you know how to behave. New Guinea is unique amongst Indonesian territories thanks to the people who call it home. With time lost tribes making up a large part of the population, visitors can expect to be welcomed in ways which they will never experience anywhere else. Most notable of the tribes on this island is the Korowai. While their customs may be old, they are a very interesting people, with homes which stretch into the skies, and traditions which date back thousands of years. Some people say that they still practice cannibalism, though these reports are often unproven. Lombok isn’t as popular as the other islands in Indonesia but is very important thanks to the active volcano which sits at its heart. It isn’t necessarily due for an eruption, making it nice and safe, while also giving you the chance to see one of the most exciting natural landmarks in the world. Along with the terrain, though, Lombok is also home to a large population of sea turtles. If you visit at the right time of year, you’ll get the chance to see these small reptiles hatching. This is a sight few people ever get to experience. Next, it’s time to travel West, to the large island of Sumatra. Like a lot of the other islands which make up this area, this part of Indonesia is filled with natural beauty. From mountains to beaches, this island has made a name for itself amongst tourists. As one of its most notable natural features, Sumatra is home to the world’s largest crater lake; Lake Toba. Sitting in the top of a long-extinguished volcano, this part of Indonesia is popular amongst people who want to take a dip, while also being home to a wide variety of rare aquatic life. Sulawesi is unique amongst islands, comprising of several peninsulas which stretch far into the ocean. Along these arms, as well as in the surrounding water, you will find some of the best-kept coral reefs in the entire world. This makes this spot great for divers and boat-enthusiasts alike, but it doesn’t stop here. If you’d like to take a trip into human history, Sulawesi has some of the oldest preserved cave paintings found around the world. Of course, though, you really have to see them for yourself. If you like the idea of visiting the crater lake in Sumatra, Flores will be another place on your list. Home to three vividly coloured examples of these natural features, this island is unique in more ways than one. Boasting a wide range of sea life, including turtles and manta rays, while also being the main entry point into Komodo island, nature lovers will also find it easy to fall in love with Flores. Cycling tours have been becoming popular on the island, with some taking as long as a week to complete. Like much of Indonesia, the island of Sumba has a lot on offer along with its stunning landscapes and welcoming people. With one of the world’s top eco-hotels, this location will appeal to people who care about the environment, while also giving you somewhere very interesting to stay. Along with this, Sumba is one of the most popular parts of Asia when it comes to watersports. Surfing is popular around the coast, but you can focus your trip on the lush forests and breathtaking waterfalls if you prefer something a little more relaxed. While it isn’t always favoured by tourists, Sumbawa still has a lot to offer visitors who are willing to make the trip. Unlike much of Indonesia, a large part of this island is made up of flat grasslands, making it perfect for breeding horses and other livestock. Coupled with the mines in the area, this has created a lot of industry on this small slip of land. Despite suffering volcanic eruptions within the last 200 years, the island is still well populated. Sumbawa is one of the key producers of coffee in this region. Unlike a lot of the islands which make up Indonesia, Timor isn’t all part of the same territory. The West of the island is still part of this network. However, the areas to the East form their own sovereign state. This has opened the doors to some very interesting cultural heritage. Over the last few centuries, the island has seen a lot of conflicts. With a Japanese invasion shortly into the second world war being the most recent, a lot of people in the area still remember the pain this sort of fighting can cause. Despite this, it is still regarded as one of the best places for tourists looking for a sense of adventure. Being part of Komodo national park, the island is home to the same giant lizards as Komodo island. A lot of people don’t know of this area’s existence. This can often make it a much better place to see the creatures in their natural habitat. Along with this, the island is also home to a lot of unique birds, large mammals, and fish. This gives those who like to experience a touch of nature the chance to explore to their heart’s content. Of course, though, you have to be careful not to disturb the wildlife you find. Indonesia has long been marvelled at from the Western world. With a lot of early trade being centered on the area, along with some of the world’s earliest companies setting up shop in this part of Asia, it’s easy to see how it has become so popular. Most people won’t be able to visit all the islands of Indonesia in a single trip, though. Instead, it can take many years to explore the whole of this magical country. Some throughout history have lost their lives in the process. This shouldn’t be cause for concern, though. This is one of the safest parts of the continent. Unless you decide to get too close to a dragon! Have you visited the islands of Indonesia?